Welcome back to the Clinical Series. This series was born when my work in the communications team generated an enthusiasm to learn more about the work of the academics who have crossed my path. This blog created the possibility for me to do a little further investigation, to delve deeper into the science and to share my findings with you. This is the second blog of the series so enjoy the read and remember to look out for number three next week. During a discussion among a group of clinical scientists about this particular piece of research, I heard one academic say ‘You have achieved what all scientists dream about achieving from their research…a change to the undergraduate syllabus’. This powerful statement made me think. For some reason I have never thought about this achievement before but it really does define how significant a piece of research can be. This thought-provoking statement has led me to focus this blog on Professor Dileep Lobo’s work on optimising perioperative fluid therapy. Fluids are the one of the most frequently prescribed drugs in hospital, however, prescribing practices are often suboptimal resulting in avoidable perioperative (the duration of a patient’s surgical procedure) morbidity and mortality. In 1999, the UK National Confidential Enquiry into Perioperative Deaths reported that a significant number of patients were dying as a result of the infusion of too much or too little fluid by doctors and practitioners who had little knowledge and training on the subject. Through surveys, Professor Lobo and his team of researchers found that over 90% of fluid prescriptions were done by the most junior member of the surgical team who often prescribed too much fluid to their patients and that the seniors did not pay much attention to these prescriptions. The knowledge base was poor and the practice was suboptimal. It was clear to these scientists that a major change was necessary to improve clinical practice and patient outcomes. In 2010, they carried out a meta-analysis which confirmed that patients in a state of fluid imbalance have a 3.4 day longer hospital stay and a 41% greater complication rate than those maintained in a state of fluid balance. They calculated that this could lead to potential hospital savings in excess of £800 per patient. 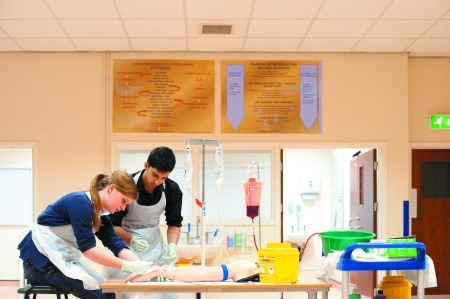 Their research has had a major role in the formulation of the British Consensus Guidelines on Intravenous Fluid Therapy for Adult Surgical Patients (2008) and has led to a major transformation in the management of perioperative fluid therapy, which is presented in the undergraduate syllabus for medical students. These findings are also included in the 2013 NICE Guidelines on Intravenous Fluid Therapy in Adults in Hospital. And this major change has improved surgical outcomes. Evidence shows that patients are less likely to be fluid overloaded now than at the beginning of the 21st century. Job well done is what I say.